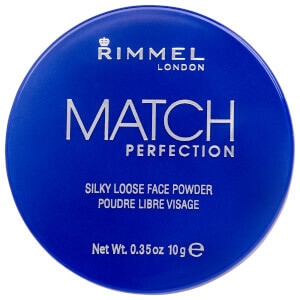 Instantly perfect your complexion with Rimmel Insta Fix & Matte Powder in Translucent. The ultra-fine formula dusts onto skin to deliver weightless, comfortable coverage without caking or settling into fine lines. 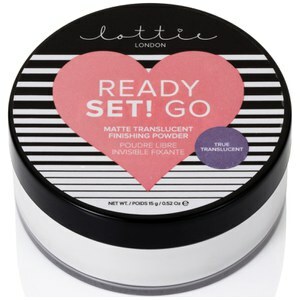 Ideal for sweeping away shine and setting foundation, the pressed powder can be used for quick touch-ups throughout the day to achieve airbrushed, seamless-looking skin. Talc, Aluminum Starch Octenylsuccinate, Magnesium Stearate, Aqua/Water/Eau, Caprylic/Capric Triglyceride, Ethylhexyl Palmitate, Phenoxyethanol, Bis-Diglyceryl Polyacyladipate-1, Caprylyl Glycol, Kaolin, Parfum/Fragrance, Benzyl Alcohol, Hexylene Glycol, Dehydroacetic Acid, Hexyl Cinnamal, Limonene, Butylphenyl Methylpropional, Benzyl Salicylate, Linalool, Geraniol, Citronellol, Alpha-Isomethyl Ionone, Bht [May Contain/Peut Contenir/+/-:Bismuth Oxychloride (Ci 77163)].